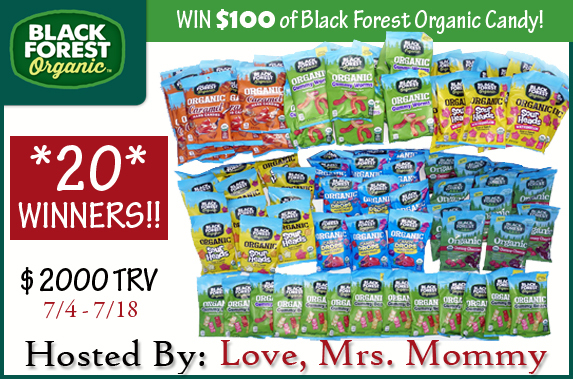 Love, Mrs. Mommy: Blogger Opp: Black Forest Organic Candy Giveaway - 20 WINNERS!! $2000.00 TRV!!! ADVERTISED! Blogger Opp: Black Forest Organic Candy Giveaway - 20 WINNERS!! $2000.00 TRV!!! ADVERTISED!